Donna Pedro, Senior Partner, Chief Diversity & Inclusion Officer for Ogilvy & Mather, leads the Diversity and Inclusion objectives as a change-management process. She developed a comprehensive, multi-year strategy to drive the agency’s business agenda. Her success in this role led to being honored as a “Change Agent” in 2008 by the ADCOLOR Awards, an industry coalition created to honor achievements in minority talent in marketing and media. Additionally, under her leadership, Ogilvy was presented with the “Workforce Diversity” award in 2008 by the American Advertising Federation. 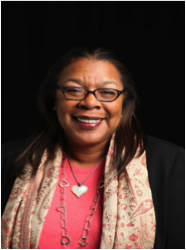 Since joining the agency as Chief Diversity & Inclusion Officer in February 2007, Donna has overseen the creation of an external and internal diversity advisory board, and nine employee-led professional networks. Additionally, Donna built a team focused on recruitment, retention, training and mentoring as part of her change-management strategy. Prior to joining Ogilvy, Donna was a Senior Consultant for the FutureWork Institute. As part of the Institute’s Executive on Loan program, she served as the on-site Chief Diversity Officer for an International Pharmaceutical Company, an advertising agency and a global consulting firm. She was responsible for the design, development and recommendation of their overall Diversity & Inclusion strategies. Before joining the FutureWork Institute, Ms. Pedro was the Corporate Head of Diversity and Staffing for Sony Music Entertainment, Inc. Other employers include Nabisco Brands, Chemical Bank, the American Broadcasting Companies Inc., and the Bradford Trust Company. Ms. Pedro’s years of experience span global and domestic project assignments involving diversity management, mentoring, organizational effectiveness, staffing and retention, and sexual harassment. Areas of expertise consist of strategic staffing, talent management, and diversity transformation. Ms. Pedro is on the Board of New York City YWCA and Angels of Animals, Clifton, New Jersey. In 2011, Ms. Pedro received the Trailblazer – Working Mother of the Year Award from AWNY. She resides in Upper Montclair, NJ and is the proud mother of a daughter who attends Cornell University.